Moving in to a new home can be overwhelming as there are many things that need to be done to prepare your new home. One important task that should be completed upon moving into a new home is a home security inspection. Making sure that your home is safe and secure for your family will give you peace of mind in your new residence. There are various things that are done during a home inspection and there are a couple of options for having one performed. What Exactly Is a Home Security Inspection? Basically, a home security inspection involves looking at the property to see if it is as safe as it could be. All homeowners can benefit from home security inspections, even if you already have a state of the art security system set up. A home security inspection will shed light on simple projects that can be done to decrease the likelihood of a break-in occurring at your new home. As mentioned above, a home security inspection is important because it can help to identify ways in which your home may be unsafe. Knowing what steps need to be taken to secure a home is the first step in protecting your family. Even if you think that your home is secure, a home security inspection may show some additional tasks that can be performed to further secure your home and make it even safer. While home security inspections are likely to identify steps that can be taken to further secure your home, they are not meant to make your home into an impregnable fortress. If this is what you are looking for, it is advised that you speak to a security company. Home security inspections don’t take long, they are performed fairly quickly and generally do not cost much money. During a good home security inspection, the whole property will be examined to identify and problem areas. Doors and windows will likely be heavily focused on as they are easy points of entry for would be burglars. Other areas that will be inspected include lighting, landscaping, garages, and more. Who Performs The Home Security Inspection? There are several options when it comes to who will perform your home security inspection. Oftentimes, home security companies will provide inspections. While thorough it is important to keep in mind that they are likely to be trying to sell you a security system for your home which can lead to their inspections being slightly self-serving. Depending on where you live, the local police may offer free security inspections. This is the best option for homeowners as the police department will have no ulterior motives in performing the inspection. If your police department happens to perform these inspections, they will also likely be able to provide valuable information on crimes that are prevalent in the area which can further help you to safeguard your home. There are also third party companies that can be contacted to perform home security inspections. Looking at your own home objectively can be somewhat difficult but it is possible to perform your own home security inspection. 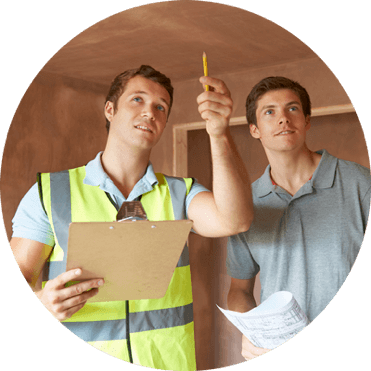 If you decide to perform the inspection on your own, it is a good idea to find some home security inspection checklists online as they can help guide you through the inspection. Easy steps to take include ensuring that window and door locks are working properly and trimming any bushes or hedges that could provide cover for burglars. Remember that while performing a home security inspection yourself is possible, you are likely to get more thorough results by consulting a professional. Regardless of whether you perform the home security inspection yourself, or hire an outside company to do so, it is an important task to complete. Ensuring the safety and security of your family is an necessary part of moving into a new home. Results of the home inspection can be slowly taken care of when your budget and time permits, ultimately leading to a safer environment for your family. Home security inspections also have the potential to lead to a discount in your homeowners insurance.